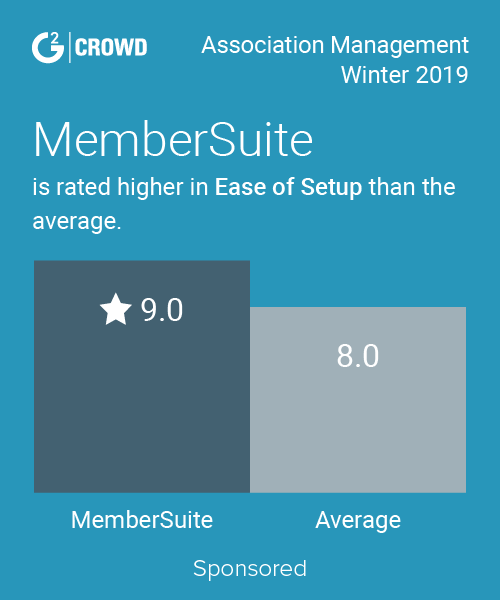 netFORUM Pro provides membership management features, reporting and enhanced tools to allow associations to interact with member and member management. We are a small association with roughly <300 members and use NetForum Pro for a few things: 1) as an association managment database, to house all of our member data; 2) as a CMS, for password protected pages on our website that are available only to our members; and 3) for integration with Higher Logic, where we house our online member community. NetForum Pro makes it easy to house a lot of information about members, such as committee assignments, and such, and you can, with some effort, generate a wide variety of reports. I don't like NetForum Pro outside of its role as a database for managing member data. NetForum Pro could not be easily integrated into our existing CMS (Drupal 6), so we had to build our members web pages in NetForum Pro, with site styling to match our primary website. Building out pages in NetForum is very cumbersome and not always intuitive. Same for the e-commerce pages. We can't integrate a single sign-on for our members only pages and separately, as an integration with Higher Logic where we house our online member community. And, there have been several times where site style, or other coding has been disrupted by new product roll outs. Finding a point of contact for technical support is confusing since Avectra became Abila. We have found netFORUM to be valuable as an AMS, but terrible as a CMS. As a nonprofit professional association, it is obviously crucial to be able to collect and analyze data for members and nonmembers, and NetForum allows us to do just that. It has also been useful for more complex event registration for our annual conferences. "A little cumbersome but a solid piece of software"
I have used the software for over a year and a half now, and I like that the user interface is clean and items are easy to see. What I don't like about it is that in the beginning it can be a bit cumbersome to locate all of the tools you need, for example you have to search for the individual, then if you want to see all of the contributions they've made, you have to click through 3 different screens to get there.. You will definitely have to be trained on this software. netFORUM has made consolidating and accessing our records a lot easier, although the software can be a bit cumbersome to locate all of the tools you need, and all of the information you require. "I Would Not Recommend This Software"
There is very little that I like about this software, but if I had to pick one feature I would say that it has very little "down time" and the CRM is a somewhat good database. It is going to take far more than this small paragraph to enumerate all the things I do not like about netforumPRO. But I'll take a stab at it, and be succinct! Right now we are having an error that is 100% a perfect example of the way this company operates. We have some automated email set up so that when someone registers for a webinar, we send them their GoToWebinar link. Well the automated emails have not been going out consistently--about half of the people who register are not receiving the email. We reported it to Abila, and their default reply is 'It is the IT Dept/Webmaster/Email Server of the receiver that's at fault--we can not reproduce the error." This despite the user community being FULL of other users who are also experiencing the same problem. So, we went in and tested ourselves--and of 6 registrations, 1 received the email and the other 5 did not. We sent them our test information. Not only are the emails not being automatically sent, the registrants are not going onto the registration report, so our reporting is also messed up. Yet if you go individual by individual of those who email us and say 'I didn't receive a link" they do show that they registered and paid if necessary. So the reporting is inaccurate, and the dataset default reports are useless. We are an association. We want to track our membership and see how our retention is going. There is no retention RATE report and you literally can not get it from any of the reports they have. We have to manually use the rate formula and pull one number at a time to try to figure it out ourselves. In summary, email doesn't work, support just blames others, reports don't work, accounting doesn't work, you can not search in CRM...it is a MESS!! Do not purchase this software-you will regret it. I am not sure this software solves any problems. I believe it creates problems and creates more manual work. Honestly we only use is as a database, and I believe Salesforce would be much better. "It's been a rocky road." NetFORUM Pro has a lot of good attributes for a wide array of organizations. Designed for membership, it is a great tool for keeping track of membership renewals, subscriptions, events, and most important, a great communication tool. While I use Constant Contact for communication, I have to constantly reimport new members, and NetFORUM makes it seamless to reach out to our existing members without having to do all of that work. For all of it's great attributes, it's lacking in nearly almost every category. Sometimes it is harder to use NetFORUM than it is easy. While I love to use it for communication, it only tracks e-mails opened, not when or who actually opened the e-mail, rendering that initial feature pretty useless. I still cannot fathom why registrants cannot cancel their own events. The events calendar is extremely limited and even though they have a "site" for people to register, we built a brand new website/calendar to cover the existing one so instead of going to that site to register, we only allow our members access to the registration page instead of the calendar. If you are a real estate association, evaluate your other options. They all have weaknesses and strengths, but what is most important? We currently use it to invoice our members for their dues, create classes/events, manage MLS subscriptions, and it has worked OK, but certainly not without faults. It's a great tool to look up past members to find their involvement, when they were last a member and go off of that old log to build their new/reinstatement. Do not buy. Or if you are seriously considering, insist on being able to view the posts on the community so that you can see what real users are concerned about and the many workarounds that are necessary. We haven't been able to solve any business problems. We consistently need to come up with workarounds. "Used to manage 537 chapters + surveys, accounting, orders, etc." "Antiquated and poor customer support"
The only thing that is good about NetForum is that they offer APIs and the original developers can be contacted through Gravitate. Everything. The modules are slow. It's difficult to query. When they release new features/patches, it breaks something else. You can't easily set-up automated emails. There has to be something better on the market than this product. It has lots of fields, and many of them are fairly customizable. It is incredibly difficult to use and navigate. I've been on it for several years and still don't understand how to use it. Try to find a program that is more intuitive. The learning curve for this one is insane! It's a good way to keep track of lots of info around the community we interact with. There is not a great to like, certainly better than keeping records using a pencil and paper. I dislike that it is clunky and has not been updated since it was first developed. The list goes on and on. Creates more problems than it solves. Though it is something of an improvement over pencil and paper. It keeps all of our information in one place, as opposed to two or three different places in the past. A lot bugs. Once we figure out one, two more pop up. Aligning our LMS and AMS together. "Manage events, donations, committee info and more all in one spot"
The functionality of the different portals is key. We manage our volunteer committees, events, speakers, membership, and more with Abila netForum. Their customer service is not the most responsive. It often takes days to weeks to get an issue resolved. Organizing data in one location. * We monitor all netFORUM Pro reviews to prevent fraudulent reviews and keep review quality high. We do not post reviews by company employees or direct competitors. Validated reviews require the user to submit a screenshot of the product containing their user ID, in order to verify a user is an actual user of the product. Hi there! Are you looking to implement a solution like netFORUM Pro?